Ever since claiming the Ultimate Fighting Championship (UFC) welterweight title back at UFC 201 — where he flatlined Robbie Lawler with an overhand right in the very first round — Tyron Woodley (16-3-1) has been campaigning for a title defense against Stockton’s own Nick Diaz (26-9, 2 NC). While the Diaz brothers have always been fan favorites, the majority of mixed martial arts (MMA) fans and media both, were questioning Woodley’s intentions by calling out Diaz. It’s not necessarily that Woodley vs. Diaz wouldn’t draw pay-per-view (PPV) numbers or that it wouldn’t be a great fight, but mostly because the callout came out of left field. When Woodley asked Diaz for a fight at UFC 201, he was just coming off of his five-year suspension by the Nevada State Athletic Commission — which was reduced to 18 months — and Diaz hadn’t won a fight since defeating BJ Penn back at UFC 137 in 2011. Since his win, he has fought and lost to Carlos Condit, Georges St-Pierre, and Anderson Silva (eventually switched to a No Contest). Woodley — being a powerful wrestler — also wouldn’t be the best match-up for Diaz. So ultimately, it left fans and media puzzled as to why Woodley would want a fight with someone like Diaz right at this minute. To add to the bizarreness, Woodley was apparently close to possibly fighting Stockton’s own on the upcoming UFC 209 card. According to rumor mill however, Diaz has been turning down fights for the 209 card. Joe Rogan recently stated on his podcast, that Diaz had turned down a fight with Robbie Lawler for the card. BJPenn.com’s Chris Taylor has also stated that Diaz turned down fights with both Woodley and UFC lightweight champion, Conor McGregor. So, what’s the hold up? It makes sense in the end. Both Diaz brothers have been advocates for higher fighter pay and compensation for the past several years — and especially with the recent payouts made to McGregor, Rousey, Lesnar, and Nate Diaz — Nick will hold out until he gets his worth. Woodley, on the opposite hand, wants to reach those heights of stardom. 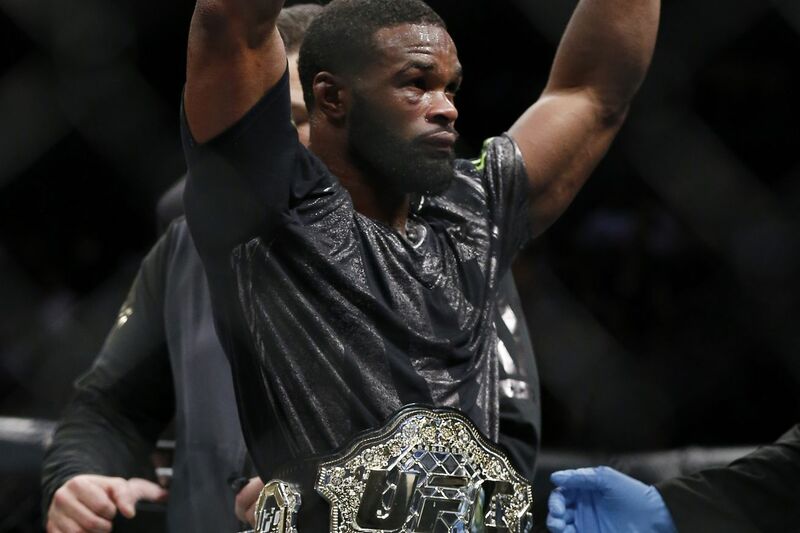 Woodley recognizes the importance of higher paydays in this sport, and he wants to take full advantage of that now that he’s the UFC welterweight champion. As a fight fan and writer, I cannot blame him one bit.